The Myriad Centre provides flexible home support packages that can be tailored around you and your family's needs. Myriad can support you with everyday living, being more independent and making choices about the things you want to do. We recognise that each individual’s needs are different so our support can be tailored to range from a minimum number of hours a week to much more intensive day and night care programmes. The relationship between you, your Myriad support worker and your family is central to the quality of service that we provide. Our staff are fully trained members of Myriad’s Support Worker team and are experienced in supporting adults. "Sarah very much enjoys preparing and eating the hot meals. And from my point of view it is a big bonus not having to think about a lunch box. Sarah loves the activities, especially those involving music, musical instruments and singalongs. She also enjoys spending time on the waterbed in the sensory area." The protection of the young and the vulnerable, along with their welfare, happiness and inclusion in the community, are the overriding aims and values of the Myriad Centre. 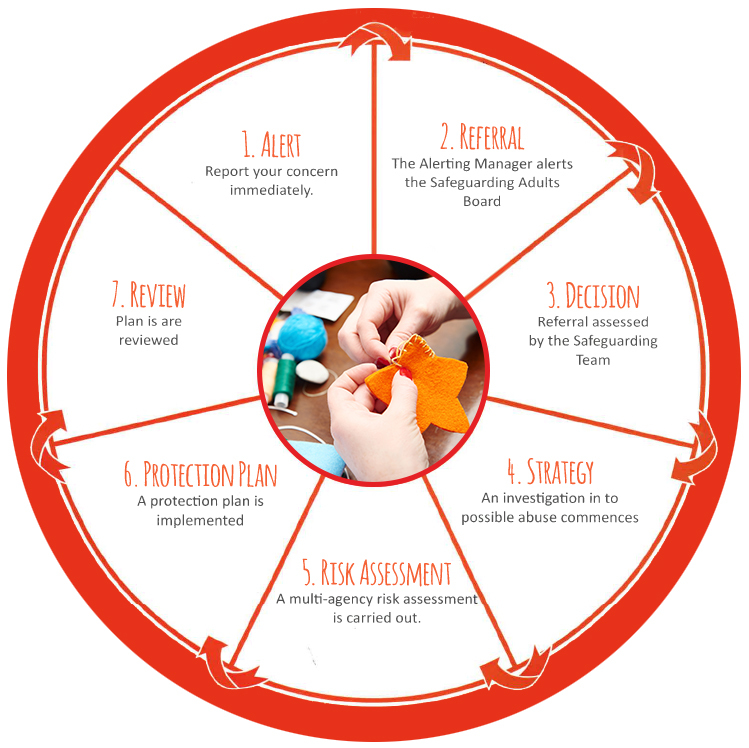 The following steps give an overview of the safeguarding process. Person Centred Planning (PCP) puts each individual at the centre of proactively ensuring equality, enablement and inclusion. It takes in to account individual strengths, preferences, areas of difficulty and related support strategies and adapts and grows with them through all stages of their life. The individual sits in the centre of the planning process. Plans are made according to what they want and what they need. Family, friends and carers are included as partners in the planning process. Plans reflect what is important to the individual now and in to the future, and takes in to consideration the support that they require. The plan helps the individual to be included in their community, and supports their community to include them. The plan is ongoing. It puts in to action what the individual wants for their life. It is reviewed and amended as their wants and needs change.